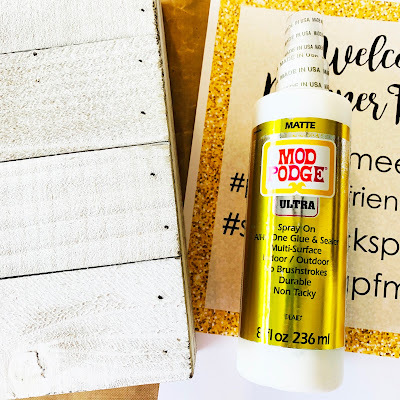 Today I am so happy to be a part of the Designer Craft Connection Blog Hop featuring Plaid Mod Podge Ultra! 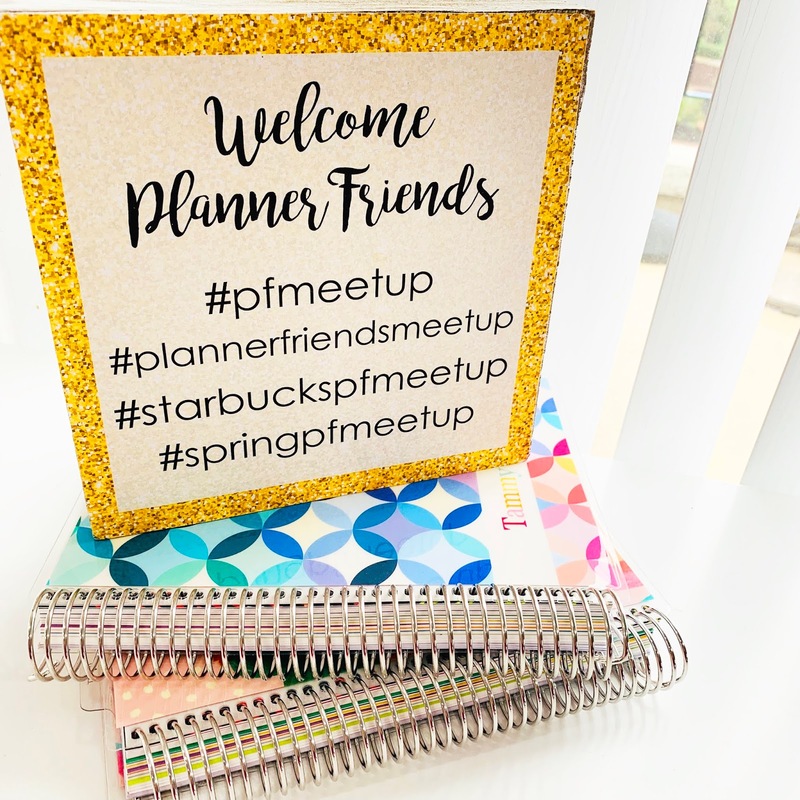 I made this cute sign by adding cardstock to a wood pallet sign I picked up at Michael's. It was so easy to make using Mod Podge Ultra Matte Finish. 1. 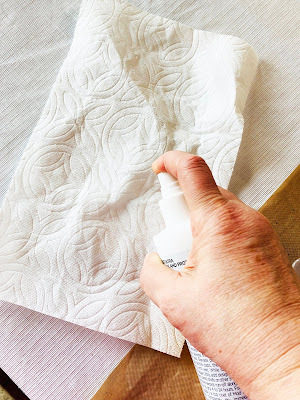 Prime the bottle by spraying some product on a plain paper towel prior to spraying on project. 2. Spray Mod Podge Ultra on wood sign, and allow to dry just until tacky. 3. Add your printed paper sign to the top, I allowed this step to dry for 4 hours before adding another layer of Mod Podge to the top. 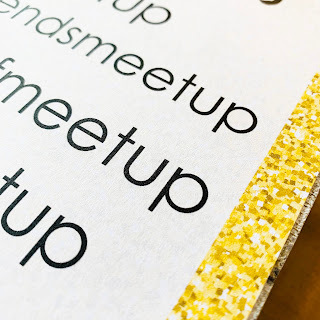 You can also add any scrapbook paper and layer embellishments if you like, instead of a paper sign. 4. After the sign dried completely, I added a top layer of Mod Podge Ultra to seal the paper and prevent it from having any future water damage. Make sure you spray a very light layer of the Mod Podge to eliminate any of the ink from running. Allow top coat to dry another 4 hours. 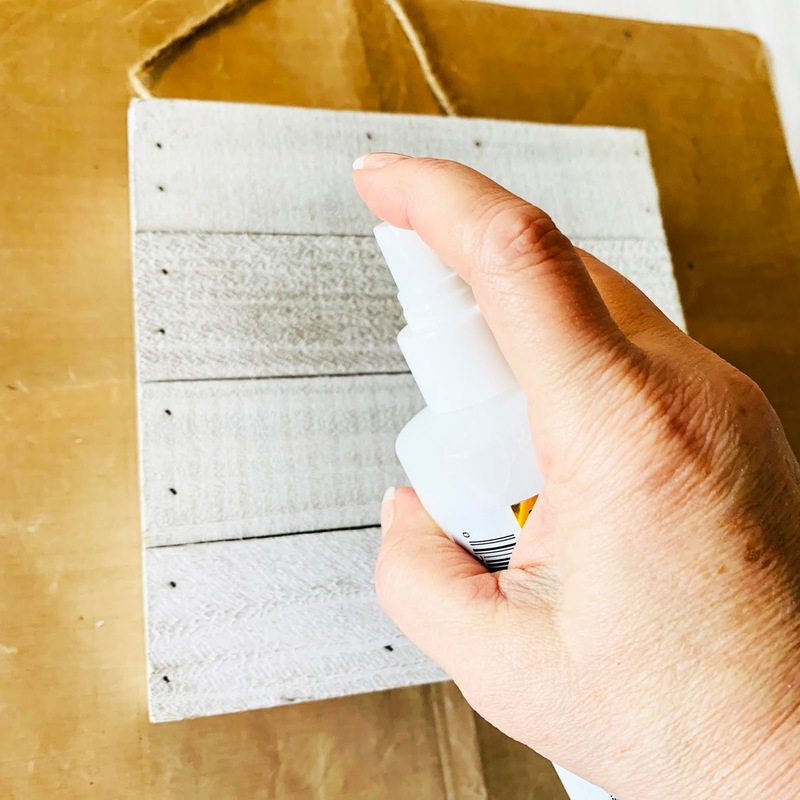 Tip: Just like a paint brush, Mod Podge Ultra Spray tops need to be cleaned after every use. If they aren't they will clog and become unusable. I like your process of letting the spray dry until tacky, I need to try that. 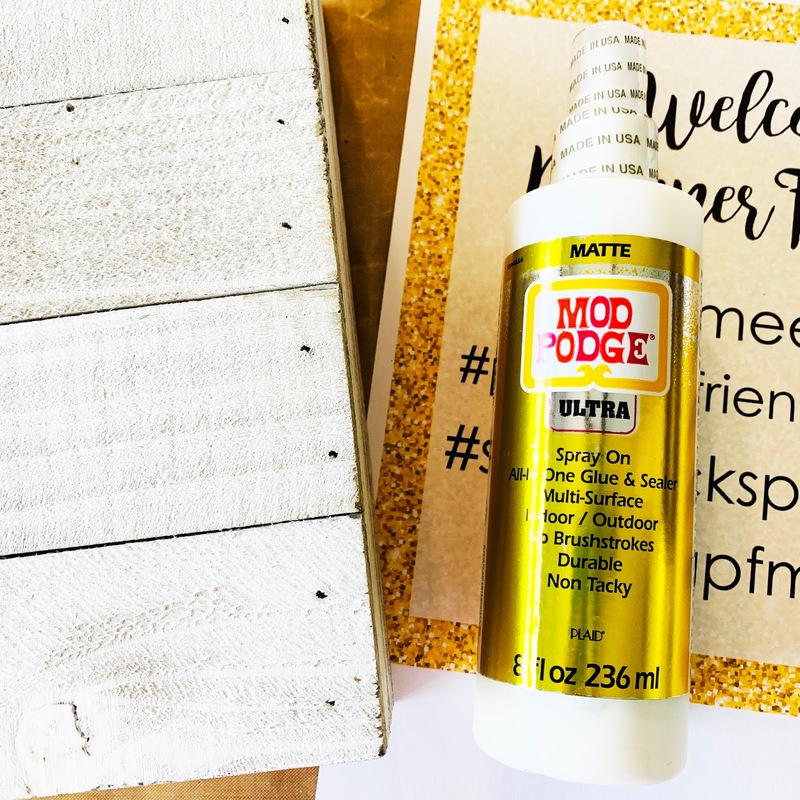 I love the new Ultra Mod Podge Spray. Great sign - have fun at your meetup! Great sign and lots of good tips! The sign looks great! I love that it is not tacky when dry! Thank you for the tips and it is a cute little sign Love it!!! Great idea! Came out so nicely!